The Society for Human Resource Management (SHRM) is the worlds largest professional association devoted to human resource management. 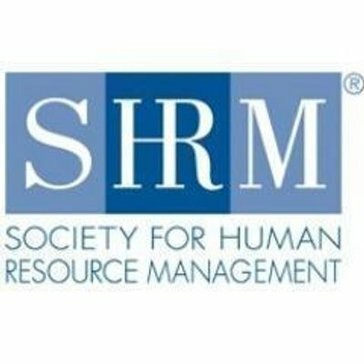 "SHRM, an amazing HR Resource"
We like that you have an entire community of HR professionals for best practices and you can submit questions or attend a workshop. SHRM has innovative Training and Certifications that allow is to grow in our field. This can be seen at the annual conferences as well as the many workshops they offer. We have not found much to dislike about SHRM as it is an optional Membership Organization. Yes, I would recommend any other HR professional to join SHRM. SHRM is a great resource for HR professional just starting out or those who have been in the profession for years. We have taken advantage of their Employee Manual Builder as well as other templates in Resources & Tools. As new HR materials and best practices come out, SHRM reviews and provide this information in a manner that is easy to incorporate in our Firm and with our clients. "Every HR professional needs SHRM"
SHRM keeps me current on industry trends. It's a great way to feel "in touch" with HR and what's going on in my field. What Training & Development solution do you use? "HR Tools for the Professional "
Labor Market and economic data, white papers, and research and trends. Review the various pages of the site, work with a representative to better understand how SHRM can help your business and enhance your team. "As a SHRM Member with SHRM-CP Certification, I love SHRM's accessibility!" The ability to add a training for PDCs is so easy! There's so much information, it is easy to get lost within the program. I often toggle back and forth between several screens before I find exactly what I'm looking for. BetterManager provides personalized coaching with experienced executive coaches in a cost effective and scalable way. Berlitz helps businesses maximize performance through innovative language training, assessment and testing services, and global leadership training. Inspired eLearning is dedicated to delivering the highest quality enterprise educational products that transform corporate culture, nurture and enhance workforce skills, and deliver maximum ROI for the corporate education budget. The Ken Blanchard Companies is the global leader in management training. J. J. Keller helps you increase safety awareness, reduce risk, follow best practices, improve safety training, and stay current with changing regulations. HeartMath was founded by Doc Childre in 1991 to help individuals, organizations and the global community incorporate the hearts intelligence into their day-to-day experience of life. ePath Learning develops innovative, world-class software applications that improve training and human performance for organizations. * We monitor all SHRM reviews to prevent fraudulent reviews and keep review quality high. We do not post reviews by company employees or direct competitors. Validated reviews require the user to submit a screenshot of the product containing their user ID, in order to verify a user is an actual user of the product. Hi there! Are you looking to implement a solution like SHRM?